With some of the best and snow-sure high altitude skiing in Austria, Obertauern is shrouded by the spectacular peaks and slopes of the RadstÃ¤dter Tauern. There are 95 kms of prepared piste, all leading back to the village in this well-planned ski circus, ideal for all grades of skier. 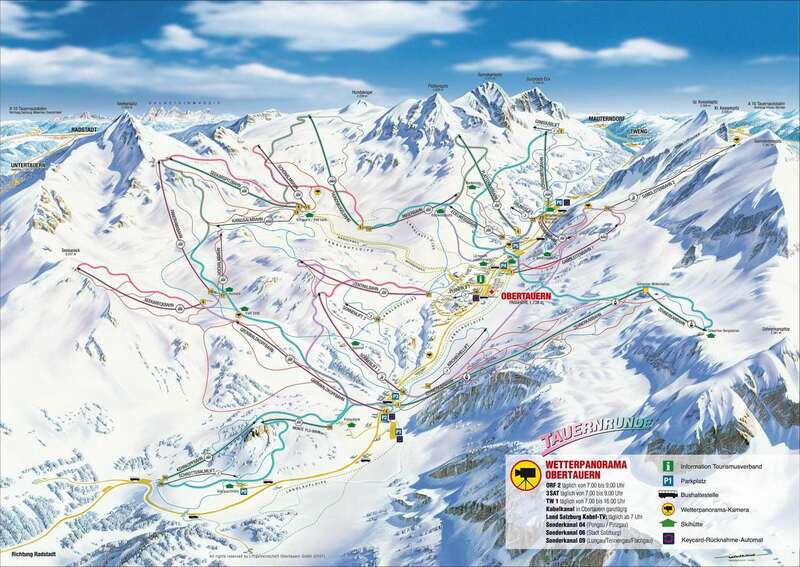 Facing north and south, the main skiing areas present 26 interconnecting lifts allowing extensive skiing around the Tauernrunde â€˜bowlâ€™ region without the necessity of ski buses. There is the added pleasure of being able to ski to or from the door of most hotels. The resort is built high and the developments have been well thought out and create an attractive village. Obertauern has several lively nightspots and has been famous for aprÃ¨s ski ever since the Beatles made their film â€˜Helpâ€™ here in 1965. Resort attractions: Snowboarding; indoor tennis; walking (18kms of cleared paths); bowling; squash; large sports centre. CafÃ©s; bars; sports shops; hairdresser; banks; mountain huts; discos. I take 2/3 ski holidays a year and over the past 5 years i have returned to this resort once per year! I'm not usually a person who goes back to the same resort again and again but I keep returning to this resort as the distance from Salzburg is 1 hour 10 mins in a private transfer (1.40mins on a coach) and the height means I can be sure of good snow throughout March. Runs are well maintained, suitable for all levels, good choice of mountain restaurants, great ski school (called Smiles) and in particular for children! Excellent choice of hotels with some superb spa facilities for those aching legs after a challenging days skiing. Apres ski is good but quieter than other Austrian resorts. However if you were to compare the apres with other non Austrian resorts then it's great. I’ve been here in 2006 and 2007. 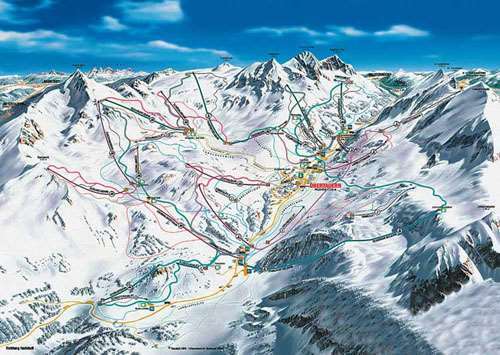 Good skiing for intermediates and beginners, a bit limited for advanced. It is, however, ski in and ski out… in fact ski all the way round in snow sure conditions! Stayed at the Petersbuhel which is excellent.